Planning to Retire Soon? Plant CACAO now! Most of us love chocolates. And we all know chocolates are made of cocoa from cacao trees. Unfortunately, global supply of cacao is not enough to cope with the high demand of chocolates. There’s a shortage of it and that’s a good problem to deal with. Luckily, Philippines is one of the ideal country where cacao trees can be planted. And if you are planning to retire in the years to come, try to consider planting cacao now. A grafted cacao seedlings can range from PHP 20 to PHP50 depending on variety and quality of the stock. Added expenses would be manpower for planting, fertilizer and other farm related expenses. This will give you idea on how much would it cost to fund 1 hectare. Most of the expenses anyway are on initial years only. Succeeding years will be just maintenance. Since cacao trees need shading during initial years, you need to intercrop with other high value crops for shading such as papaya, coconut, cassava and the rest. It could mean another source of income while your cacao trees are still young. 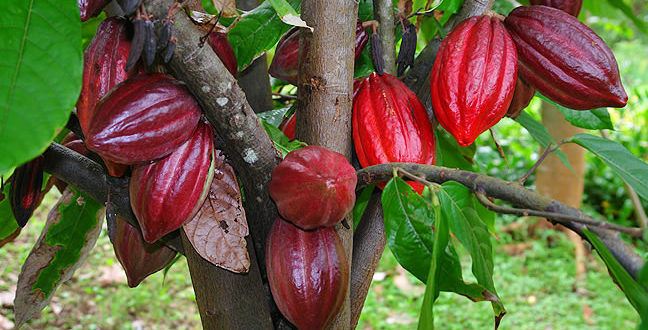 A grafted cacao seedlings can start bearing fruits in 2nd year up to 25 years. Once it reached it’s max age, you can use the old trees as scion for another new tree. And the cycle goes one, so as your profits. So if you want to retire in 2 to 5 years, try to start planting now. But first, try to know more about it. Learn how it works. I suggest you join the FB group about CACAO. There are seminars conducted by DA or private cacao farm owners where you can attend. If you cannot make it, try to ask your family members to attend for you. You cannot do it alone while you are still working abroad, you need help from someone in the Philippines. Start with your family member or friends to help you plan for your farm. Thru networking with fellow cacao growers, you will have complete knowledge on how and where to start. You need information about where to get your seedlings, what variety to plant, how to properly plant it, preparations, good practice on maintaining it up to where to sell your cacao beans. TGFI Singapore promotes cacao as another agri venture for OFW’s. Currently, our members have existing hectares of land planted with cacao in provinces of Mindoro, Samar and Negros Occidental. How many hectare of cacao do you think you need to retire comfortably? For OFWs who have land can learn while working overseas. But even if you have limited budget and resources, you can still invest in agriculture business through crowd funding like FamrOn, Cropital, and Philcrowd. First things first, do your research with all the business venture you are planning to pursue.